No pics of the place yet, I want to wait till the piles upon piles of boxes are cleared up first. Hopefully it will be a little more under control tomorrow. So I started my day off at 5:30 am for a spin class at my new gym. 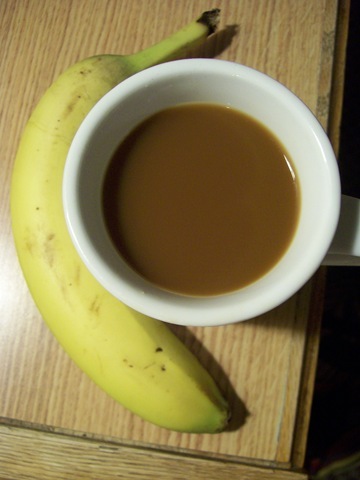 Started with a little hotel coffee and a naner. Spin was awesome. The spin classes at my old gym were quite small, so I was excited to go to a “real” one. First, the music wasn’t that bad! Remixed top 40 stuff that worked quite well with what we were doing. My instructor was this cute, feisty woman (with braces!) who got really into it. Very motivating :) It was 60 minutes total and tough as hell. Spin perfection! Afterwards, I went back to the motel and hit up the continental breakfast. Quite possibly the saddest hotel breakfast I’ve ever participated in. 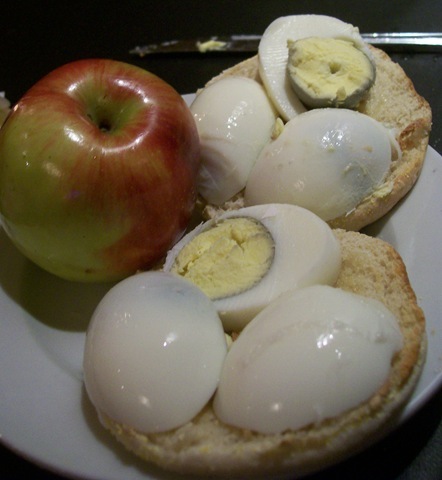 White english muffin, cold boiled egg, macintosh apple. I was starving after spin class, and gobbled this up, despite how incredibly sub-par it was. 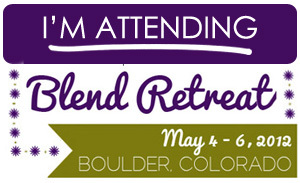 Whatever, I ain’t turnin’ down free food! This didn’t last long either! Major tummy rumbles started occurring shortly after, so I went for an early lunch. 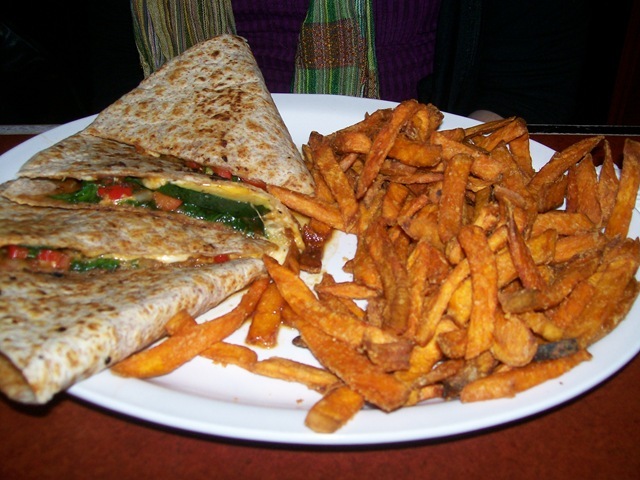 I went to Smitty’s, a breakfast-type place in the mall. Not the fanciest, but they have wireless internet, comfy booths, and let you loiter for as long as you want. 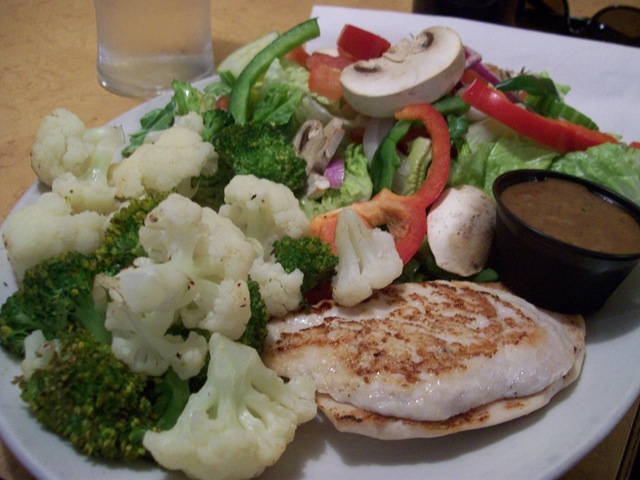 I ordered grilled chicken, roasted veggies and a salad. 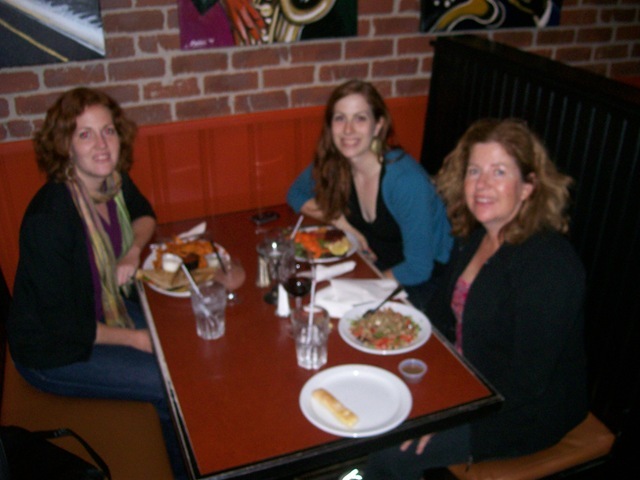 We rewarded our hard work with a lovely dinner at my fave local spot, Isaac’s Way. 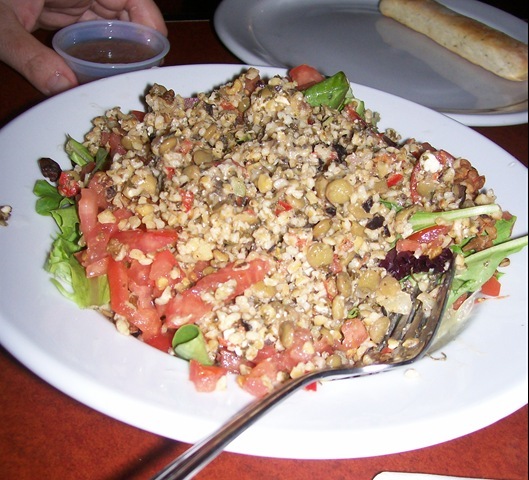 My mom got her favourite, a lentil bulgur salad. 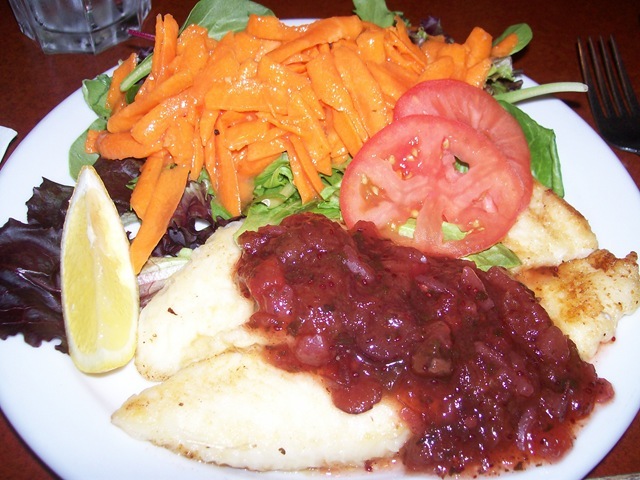 I ordered the cranberry tilapia with a salad. Bah! Damn you flash photography! It was good, but not quite as filling as I’d hoped. I’d ordered roasted red potatoes with it, but the waitress told me they were iffy and not to get them. Then we came back and started unpacking and scrubbing everything down. We made a good dent, but still have lots to do tomorrow! Alright friends, it’s waaaay past my bedtime (11 pm, I’m 80, I know). Sara is going to get up and run 5k with me in the morning! :D I have a feeling it will be a slower, “recovery” jog of sorts. These past few days have been pretty physically demanding! 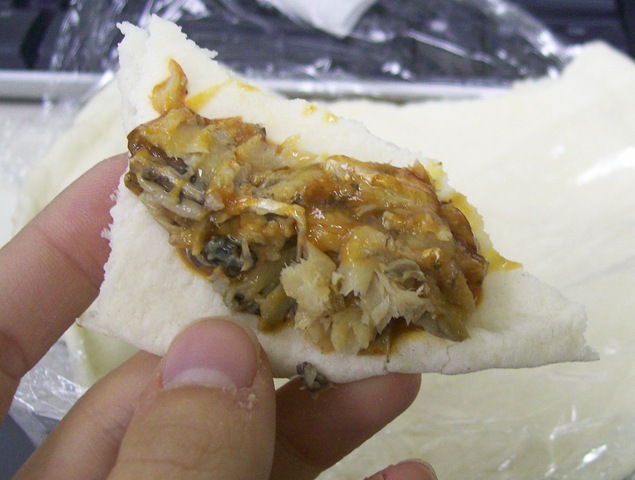 Question of the day: What’s the worst meal you were ever served? I have to say, the worst meal I ever ordered was a lobster paella in Cuba. The seafood tasted like rubber tires and I think it gave Chris E. Coli! You can read the recap here. 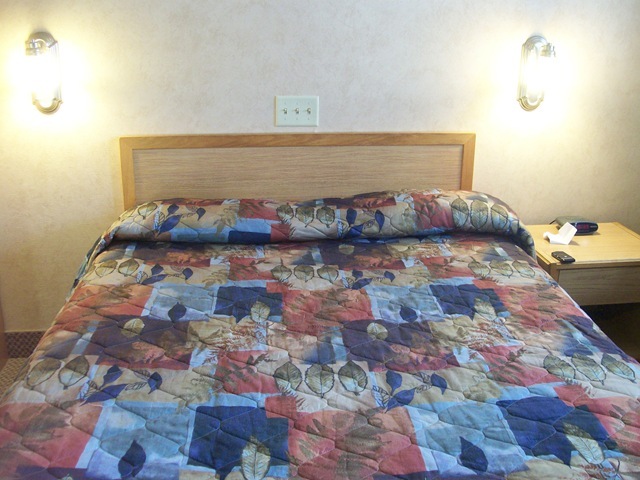 I don’t think I have ever been so happy to plop down on a sketchy motel bed. Phew! What a day it’s been! 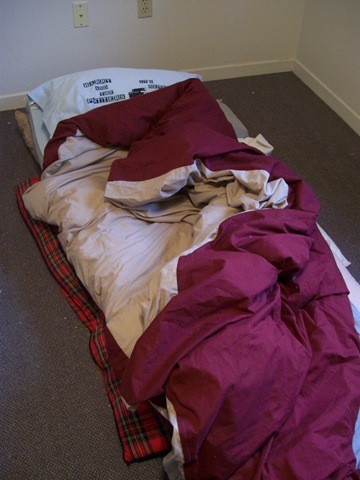 I slept very lightly on the floor last night. For some reason my body wanted to wake up at 2 am and I had to force it back to sleep several times before my 4:30 am alarm. I normally shower the night before my early morning shifts to minimize preparation time in the morning. But today, I jumped in, knowing it would help wake me up. So glad I did!! 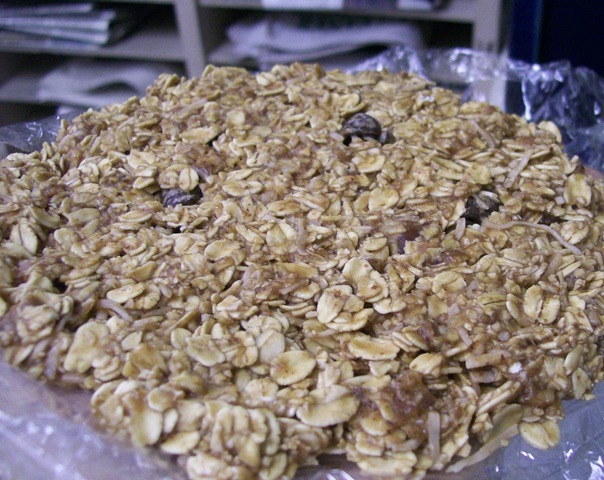 Made some instant oats once I got to work. 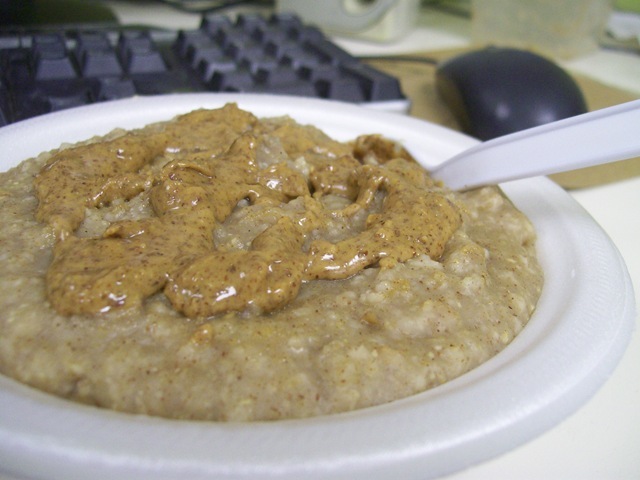 They also had lots of cinnamon, soy protein powder, dates and almond butter. 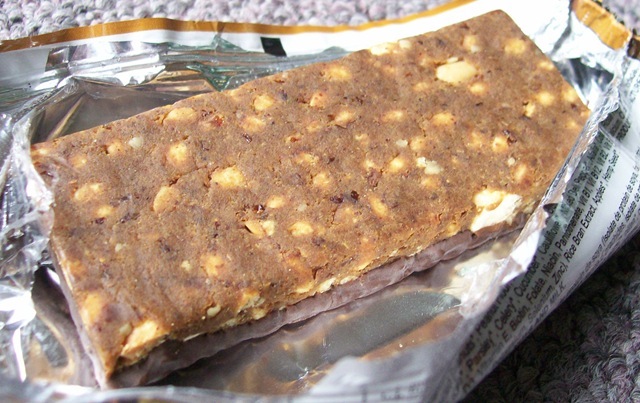 Tried the second and last of my Slim Down bars for my snack. Sorry about the washed out photo! Office lighting, I know you understand ;) This flavour is Belgian Chocolate Crisp. Ummm…it was edible? Same chalky flavour. This one has HFCS too. Ick. That’s enough for me for a while I think. This bar gets a big fat will not buy again. It featured some local goods. 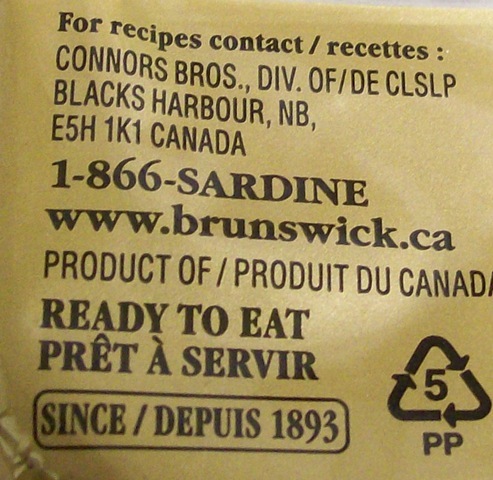 It’s from Blacks Harbour in my lovely province of New Brunswick. Chris actually has family from there! I know this stuff is available in parts of the US too because I’ve seen it on Kath’s blog. 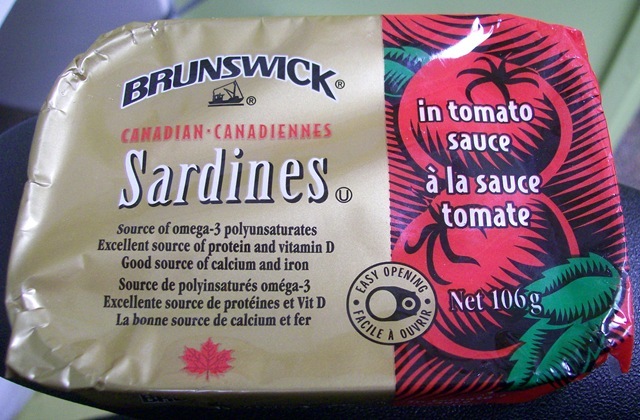 Sardines are incredibly good for you. As the label says, they’re chock full of omega-3, Iron, Calcium and Vitamin D (which is required for the body to absorb calcium). 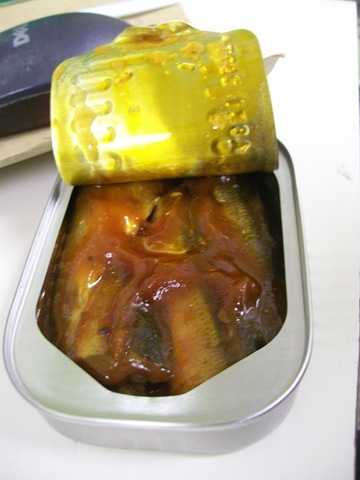 You gotta eat the bones to get the calcium in sardines though. You can’t notice them anyways, they’re really soft and tiny. They aren’t the most appetizing to look at or smell though. I ate my can straight up on some pita bread. It was quite tasty just like that! I had a gala to finish it off. It loves me again :P Must be a thing they put on all New Zealand stickers? I can’t wait until apple season! I took a 30-minute power nap when I got home, then proceeded to spend four hours carrying endless bags of garbage and the remainder of my stuff up and down four flights of stairs. Holy moly. It was a workout. I think my Ford Focus may also explode it’s so full. 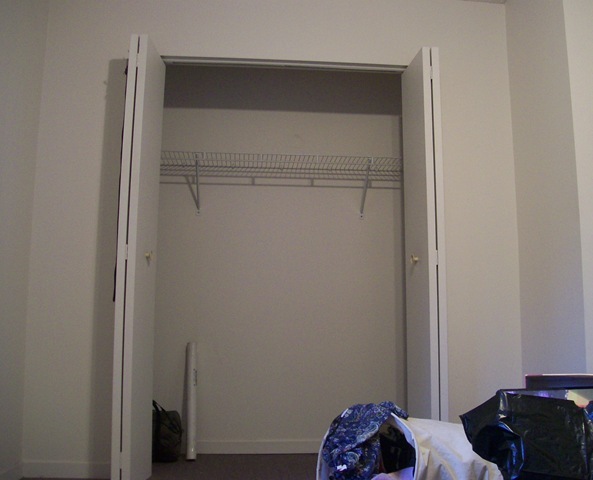 I couldn’t get the movers to take everything because the temporary spot for my stuff is quite small. So I only got them to take the larger items. 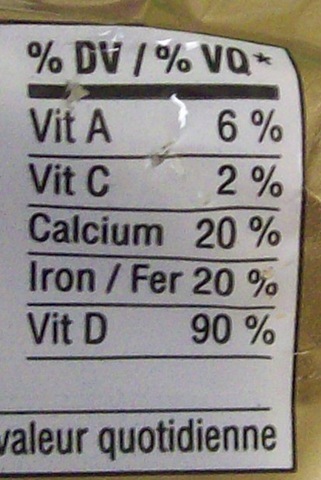 I snacked on a few bread and cheese products as I worked away this afternoon, but nothing too substantial. Come 5 pm, I was starving. I stopped by the grocery store on the way back to my office. I’m storing some of my food in the break room fridge (condiments anyone?). Soooo, yet another meal, eaten at my desk. Spicy california spring roll. I was craving something green and fresh. It was quite good! 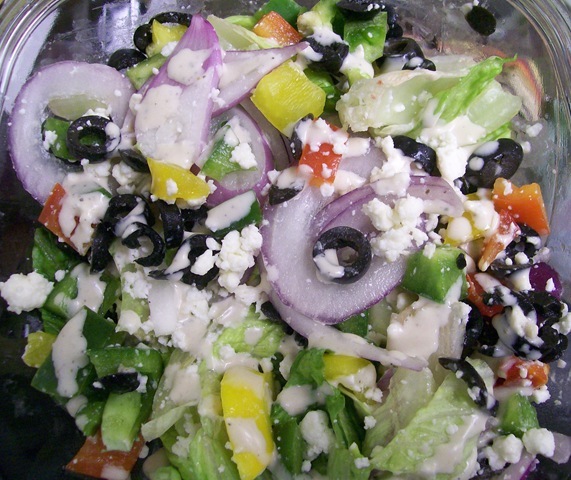 What I was really craving though was a Greek salad. 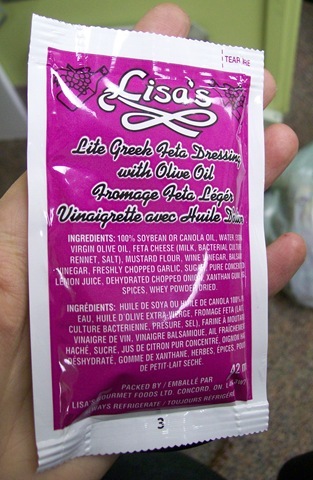 The “olive oil” bit tricked me into thinking it was an oily dressing, which is my favourite. Alas, it was creamy. Whatever, I lived. 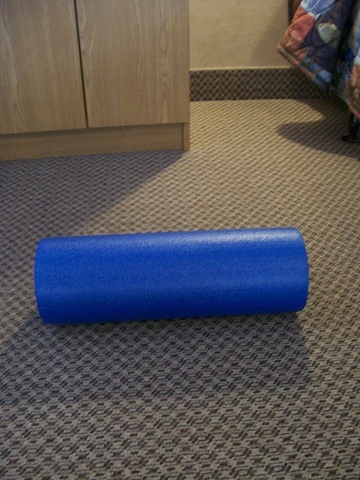 I pulled an Anne and have my foam roller with me. Gotta prevent muscle soreness from all the heavy lifting and stair climbing I did today! 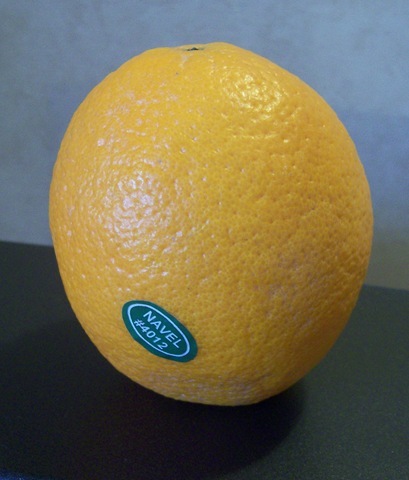 I’m also on scurvy watch. Hope everyone had a wonderful weekend!! I’ll see you from the new place tomorrow! Hello peoples! I loved hearing all of your weird food combos. 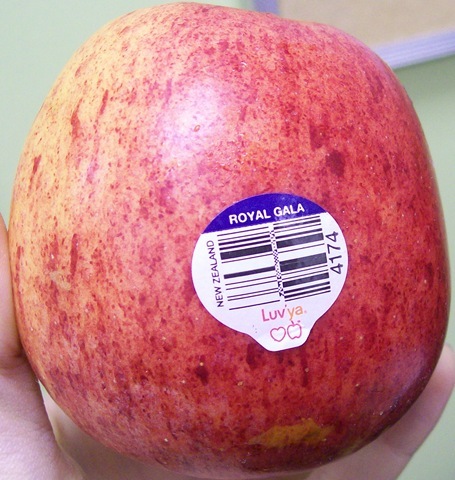 A lot of you love poultry/fruit combos which I have to say, I do love too. 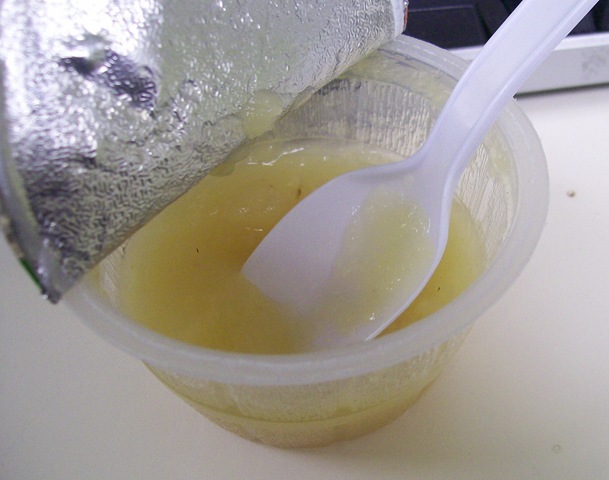 However, I think I’ll have to try some applesauce on my chicken next time ;) Also, apparently they eat apple and cheddar oatmeal in Scotland, which sounds really good to me! Got the day started right with a 5 am breakfast cookie at work. I love the newspapers in the background. Makes me feel all warm and newsie inside. Oh yes, the cookie, this was of the chocolate macaroon variety. 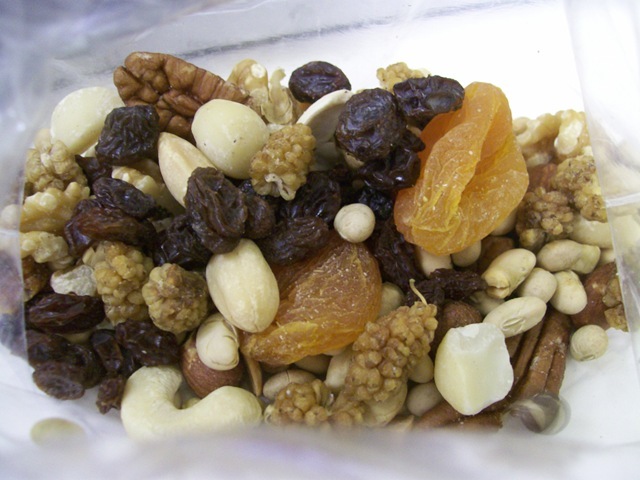 Trail mix. My favourite parts are always the apricots and soy nuts. If they’re not already, I highly recommend adding soy nuts to your snacking rotation. They’re noticeably higher in protein than other nuts! For lunch, I used up my last two eggs. 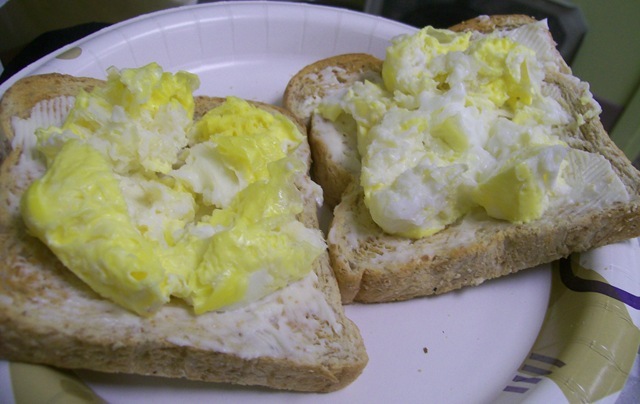 “Scrambled” in the microwave on whole wheat toast and laughing cow cheese. It was such a slow morning. Then, about an hour before I’m due to leave, I get a phone call saying there’s a police standoff on the outskirts of town!!! Bah! Why is it news only ever happens when I have somewhere to be?? For once, I was happy the police around here are super tight lipped. They wouldn’t divulge anything, so there was no sense chasing it down. I’m pretty curious as to what happened though, guess I’ll find out when I go back tomorrow! Once I got home, I had tons of time to get everything ready for the movers. I tried out a new bar to fuel me through the first stage of madness. I’ve been eyeing these Rebars for quite some time. This Caramel one caught my eye because it had a decent amount of protein (14g). One reason why I opt for bars sometimes is because they’re macronutriently balanced. Otherwise, I might as well eat a bunch of fruit or bread, ya know? This bar also had 4 servings of veggies and fruit and included ingredients like kale, beets, cauliflower and tomato. To start, it didn’t smell so hot. Kinda like, well, a bar full of dried veggies. Tastewise, it was better. You could only vaguely taste the veggies. I would compare it to the faint vegetable taste in a green smoothie. 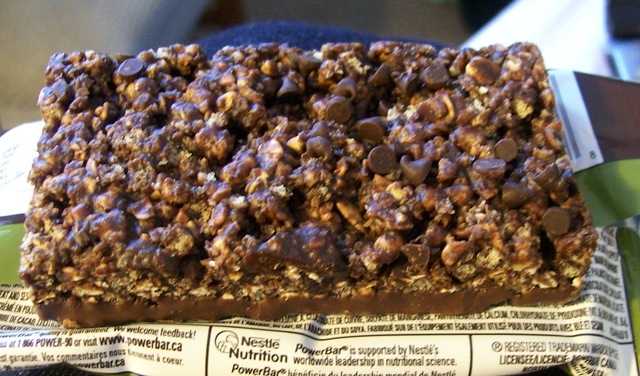 The chocolate coating helped, and I was a fan of the the peanut pieces. Overall, I would buy this bar again. More so because it’s a healthier alternative to some of the perhaps tastier ones out there. The bar did indeed power me through watching the poor movers cart my furniture and endless bags of clothing up and down four flights of stairs (money well spent!!). And then bringing everything to its temporary home until I get it into my new place either Sunday or Monday. I definitely missed my microwave for supper. I have no patience for the oven. 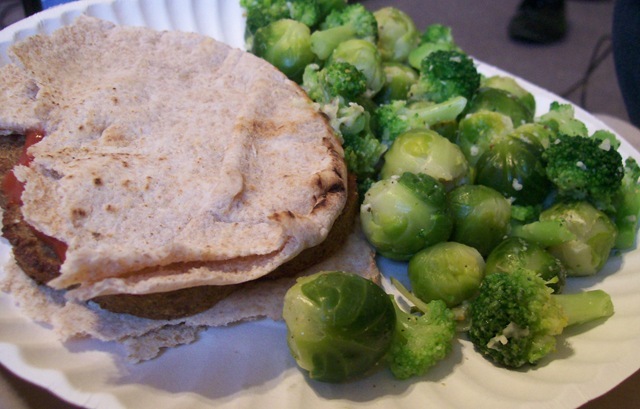 Sol veggie burger on pita bread I found in the back of my freezer. And the remainder of my frozen broccoli and brussel sprouts. I forgot that I had a thin foam mattress on my bed. So I set it up on some old pillows with my duvet. My view from my “bed"…"
*Sigh* One day down, just a couple left to go. 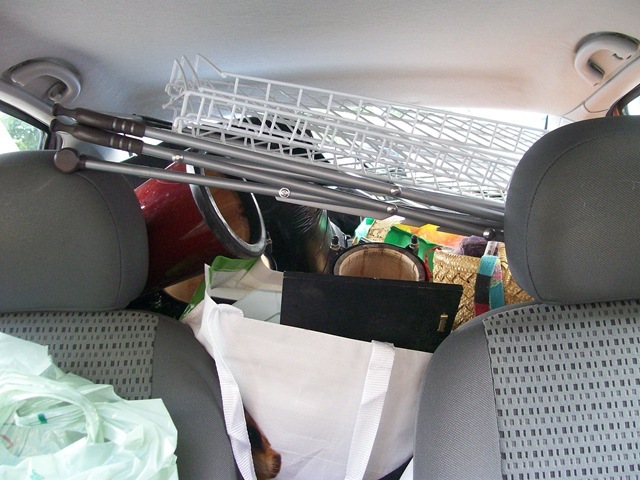 Okee, I’m off to scrounge some lunch up for tomorrow and pack up the few remaining items that will be moved in my car. Question of the day: What’s your favourite method of cooking? Oven? Stove-top? Microwave? Toaster oven? Barbecue? George Foreman? :P I use the stove-top and microwave for just about everything. For some reason, I hate using my oven. It takes so long and uses up so much energy!